Tax time always feels like a financially stressing time of year, but I’ve been thinking—why? In fact, why does saving, investing, budgeting—any of those financial actions (regardless of whether it’s time to do your taxes or not) need to be stressful? As part of my ongoing (sponsored) partnership with my friends at ATB Financial and ATB Prosper, I’ve been thinking a lot more about what I (and Albertans) can do to take the stress out of finances, at any time of year but especially during tax season. The ultimate goal of my ATB partnership is to educate and inspire you to make financial decisions that will get you closer to your dreams—whatever they may be. Mike and I dream of starting a family. For us, that means we’ll need money to finance costly fertility treatments. We also have dreams of traveling. Mike and I LOVE to travel! 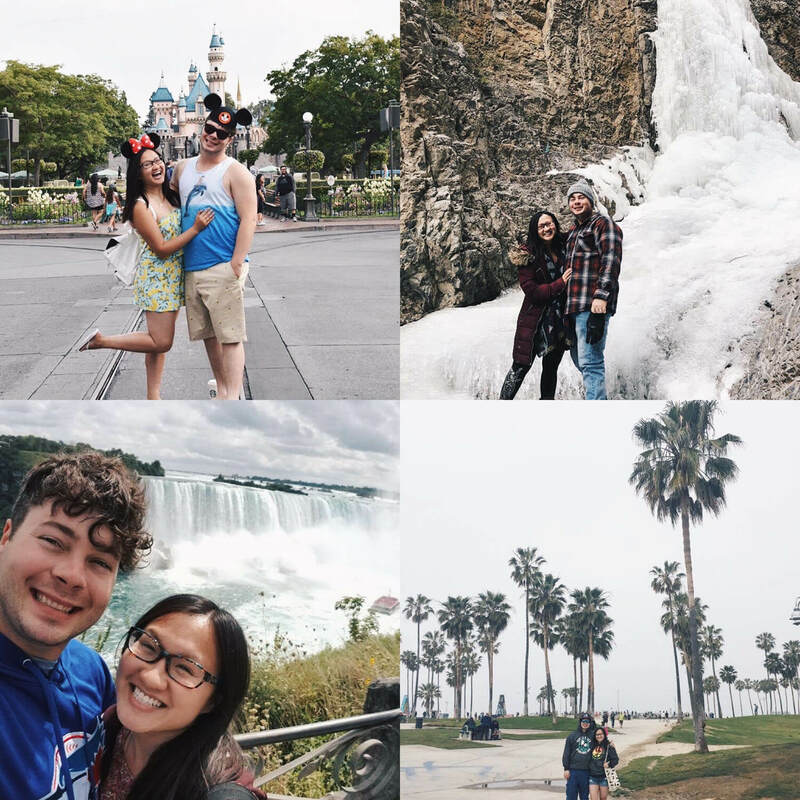 Here’s just a few photos of our adventures—from Disney to Banff, Niagara Falls to Venice Beach! Traveling as often as we can, traveling as we continue to get older, traveling without worrying about our finances—ultimately ensuring we have the money to experience what the world has to offer at whatever stage of life we’re at. When we save or invest, we’re usually putting money away for some serious travels and to do that for the rest of our life without stressing about money is definitely a dream. Below are just a few small steps we’re taking this tax season to get us financially closer to achieving these dreams. 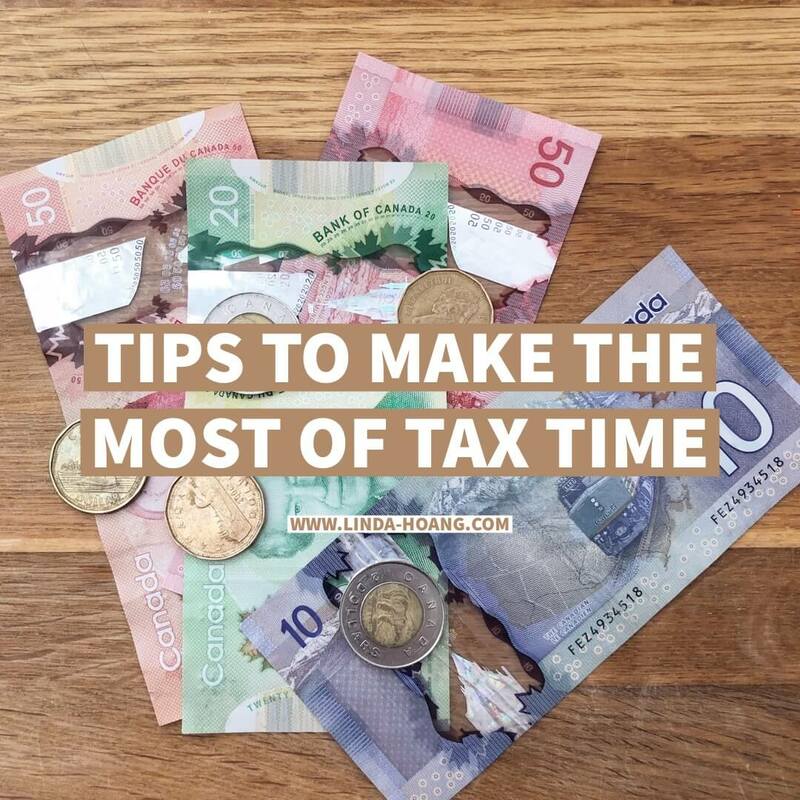 Pin + share my blog post Tips to Make the Most of Tax Time! Many people tend to make lump-sum RRSP contributions right before the deadline (March 1, 2019 for the 2018 tax year) or you may use some or all of your tax refund to make a one-time contribution, but it’s actually better in the long-run for you to set up a pre-authorized contribution (PAC) for year-round withdrawals. As you’re doing your taxes, or getting your refund, consider setting up a PAC—a recurring automatic withdrawal that will transfer a set amount from your bank account into an investment account (RRSP or TFSA). Start small if you need to, and increase it later. Seymour says “automating the investment savings process allows your savings to grow even when life gets busy.” It’s a scenario where set-it-and-forget can really help reduce financial stresses. Even if it’s just a small amount (that’s what Mike and I do) it makes a difference. Learn more about automatic payments! ATB Prosper, Alberta’s first digital investment banking experience, is the simplest way to invest. As you’re sorting out your finances, consider whether now is the time to jump from just a savings account to an investment account. With ATB Prosper, you just answer a few questions to get a customized investment plan. Open an account for just $100 and make contributions as low as $25. The ATB Prosper digital dashboard lets you easily set goals and track progress. It’s also designed to minimize risk and maximize returns, which ultimately means more money for you (getting you one step closer to your dreams!) I’m using ATB Prosper now and look forward to seeing how it can help Mike and I achieve our major purchase dreams! It’s the little steps you take now that I think will make a big difference later in life. No matter what stage of life you’re at—it’s never too late to become more educated about and taking better control of your finances. Fingers crossed you get an average or above average tax refund this year! Thanks to ATB for sponsoring this post, and stay tuned for next month’s financial inspo and giveaway! Disclaimer: I am working with ATB Financial in a paid partnership to help highlight their ATB Prosper investment tool. This has no impact on opinions stated in this post. The tips shared in this post are all things I’m currently doing myself as a way to reduce financial stress and get closer to achieving my dreams!